Join the premier network for combat sports! Share your fighting, training and event photos, videos and links. Coming Soon. 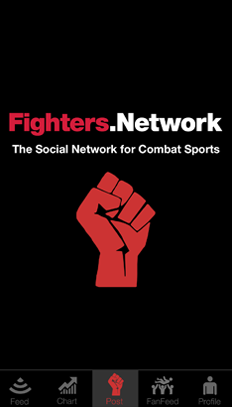 Fighters.Network is the Premier Social Network App for Combat Sports. 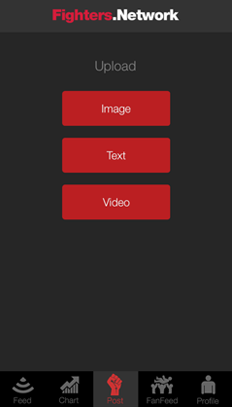 Packed with cool features this unique app was built with fighters in mind. 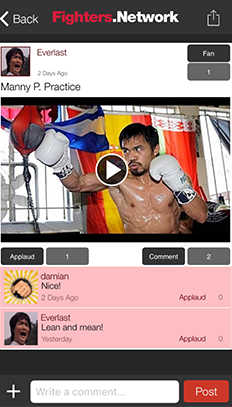 Quickly record videos of your fights or training sessions, take pictures of your gear and workouts, text updates about your progress and events, and then instantly share them with the community for comments and applause. 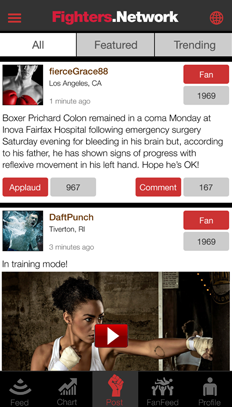 Build out your network of fans and follow your favorite fighters. 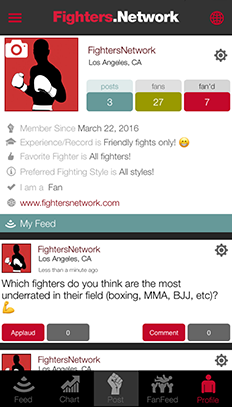 The Fighters.Network app is an exciting, simple and fun way to share your combat routines, events and news with a fight-centric community. Fighters.Network is LIVE! Join our newsletter to get info on upcoming updates, news and more! Click here to sign up.